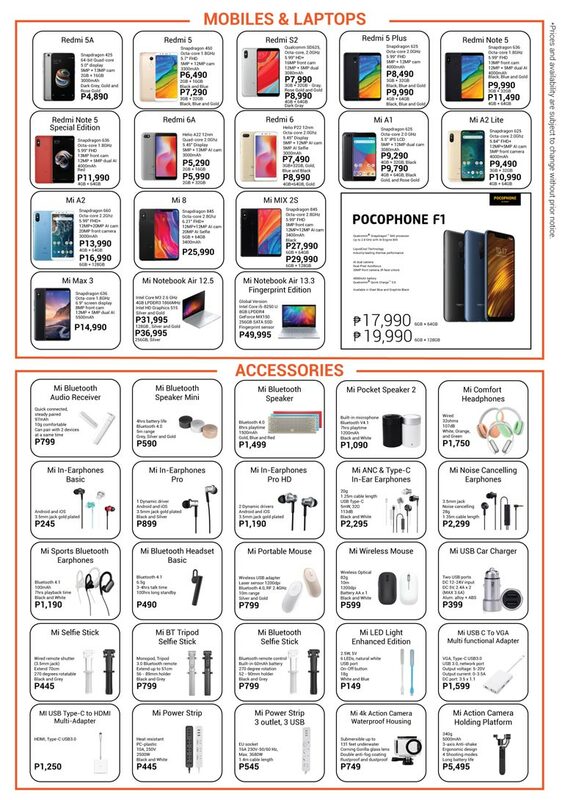 Here’s what you can buy at Mi Store branches in the Philippines. Also includes updated store locations and contact numbers. UPDATE: Contact number for Gateway Mall branch has been updated. Aside from smartphones, Mi Stores carry a boatload of gadgets, smart appliances, and accessories. There are literally over a hundred items to choose from. You have the usual powerbanks and earphones; quirky smart appliances like rice cookers, smart kettles, and TVs; plus personal accessories like backpacks, sun glasses, and rubber shoes. 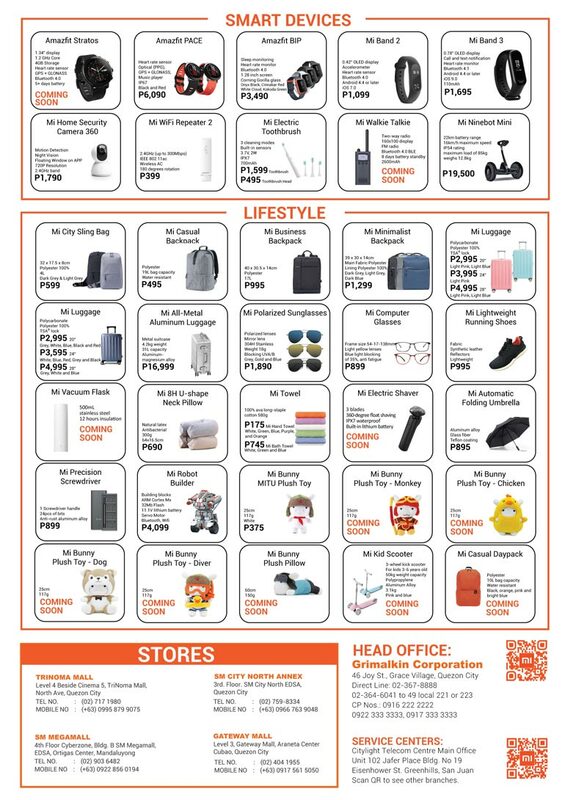 Unlike other stores of this nature, the quality of items Mi Stores carry are usually quite good at affordable price points. 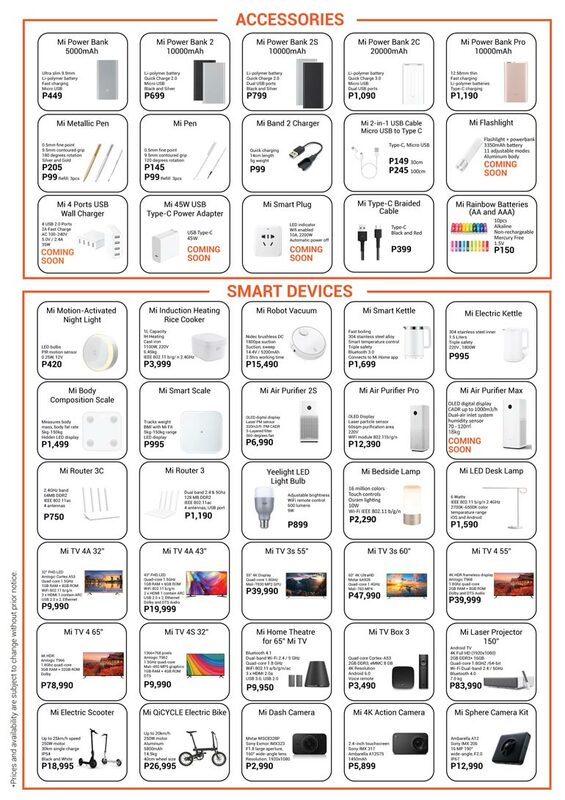 Without further adieu, here’s the updated brochure of the Mi Store Philippines. There is something here for everyone. 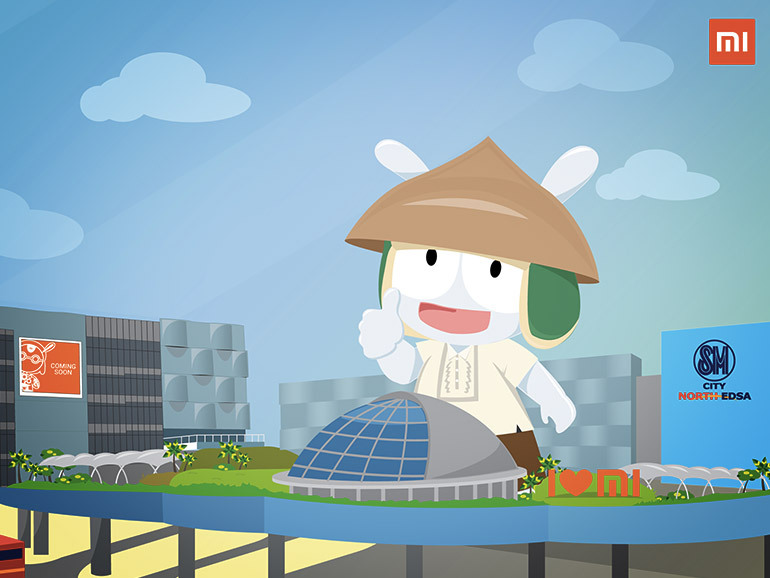 At the time of writing, there are four authorized Mi Stores operating in the Philippines – the first in TriNoma, the flagship store in SM Megamall, the recently opened SM City North, and one that flew under the radar in Gateway Mall. For us who reside down south, a fifth store will soon open at the SM Mall of Asia. meron ba jan nabibili LCD screen and frame? im from lipa nag dedeliver ba kau? Good Day! This is Jheena from Donggwang Sunvalley , May i ask if where we can buy Mi Air Purifier , can you deliver here at Clark Pampanga? Good day. Sorry, we don’t sell anything. It’s available in Mi Stores. I suggest you also search their official pages in Lazada and Shopee.